Virginia Levi is Founder and Chief Executive Officer of Luminous Development Group LLC, a privately held product development and professional services company based in Florida. 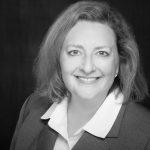 Virginia has worked for the last 20 years in consulting, operations, and technology leadership roles across a variety of industries – health insurance, financial services, high tech, retail, and government. Virginia holds her Bachelor’s Degree in Liberal Arts from Northwestern University, and her Master’s Degree in Liberal Arts from Harvard University. Hans Holland is Chief Technology Officer of Luminous Development Group, LLC. 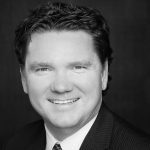 Hans has worked for the past 10 years in consulting, system/application development, and technology leadership roles across a number of industries – health insurance, long term care management/insurance, higher education, and manufacturing. Hans holds a Bachelor’s Degree in Science in Computer Engineering, and his Master of Science Degree in Electrical and Computer Engineering from the University of Miami.